Laminate worktops are a perfect low cost alternative to solid worktops such as granite, stone and solid wood. Laminate surfaces can add a real quality to your overall kitchen. They are the least expensive type of kitchen surface to buy on the market today. Unlike granite and other solid worksurfaces, worktops made of laminate are very easy to install, meaning fitting costs are kept to a minimum. Despite being low cost, these types of countertops are extremely hard-wearing and durable, manufacturers such as Formica offer Lifetime Guarantee on all their kitchen work surfaces. So you can be sure you are investing in a surface that is quality as well as affordable. 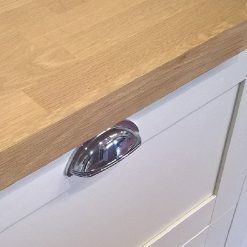 There’s also a vast array of colours, designs and textures to choose from, many brands such as Formica, Bushboard and Duropal base designs around natural materials such as marble, granite and solid wood so you can be sure to find the perfect worktop to suit your kitchen and the personality of your home within your budget. 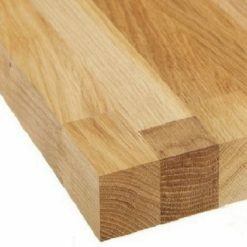 You can also choose between slimline worktops and square edge worktops, designed to give that slab like appearance as a solid material but for a fraction of the price. Browse our online store today to see just how much choice there is! There is an abundance of choice in today’s market and at Kitchen Worktops Online we have over 500 designs to choose from.So here are just a few that are currently on-trend in 2019. Laminate countertops are made up of printed craft paper with a resin mix which forms a durable, hard-wearing layer. This layer is then bonded to a timber substrate such as a high density chipboard. It is important to research and purchase a laminate surface from a reputable manufacturer to ensure the countertop you are purchasing is quality, durable and looks great in your kitchen. 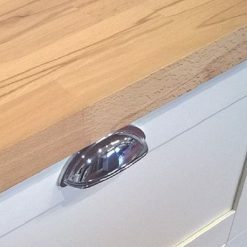 Here’s a list of our favourite, trusted manufacturers and brands of laminate kitchen worktops. Fenix is a superior laminate, they are made from Fenix NTM® which combines elegant aesthetics with state-of-the art technological performance. 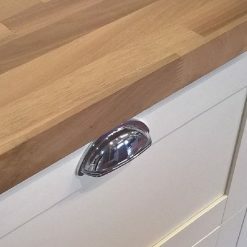 This gives the laminate worksurface its innovative properties such as the ability to thermally heal micro scratches by simply rubbing the area with a melamine sponge or applying heat. The Super Matt surface is soft to the touch giving it a real modern appeal and contemporary look. 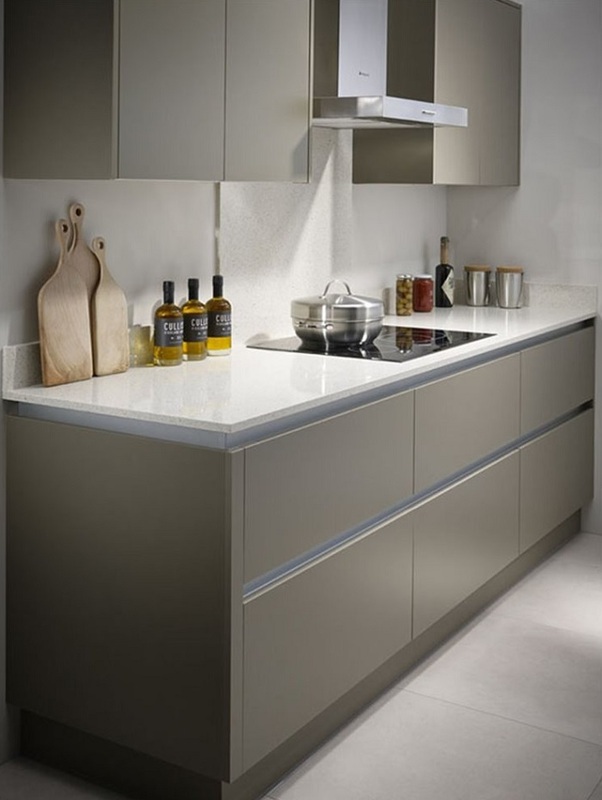 All Fenix worksurfaces are square edge with a 28mm profile and come in 3m and 4m lengths as well as various widths. 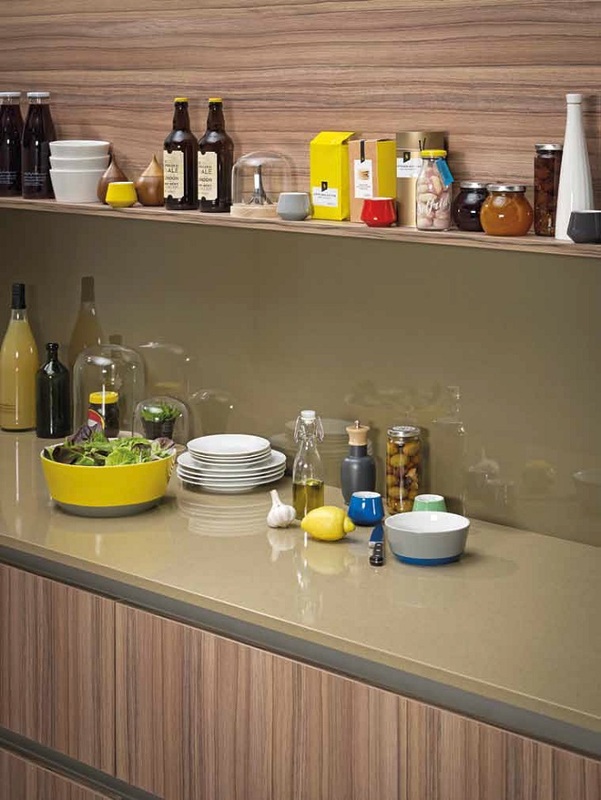 Prima worktops are a stunning collection of laminate worktops manufactured by Formica. With over 50 designs to choose from you can be sure to find the perfect laminate surface to suit your kitchen. Formica are the most affordable yet quality worktops on the market with a Lifetime Guarentee. 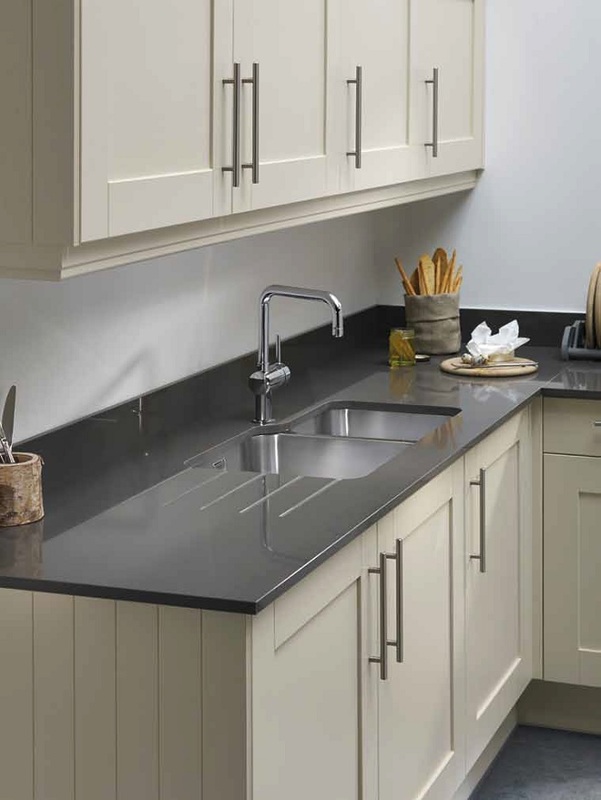 Choose from 3m worktops and 4m worktops, breafast bars, matching upstands and splashbacks. 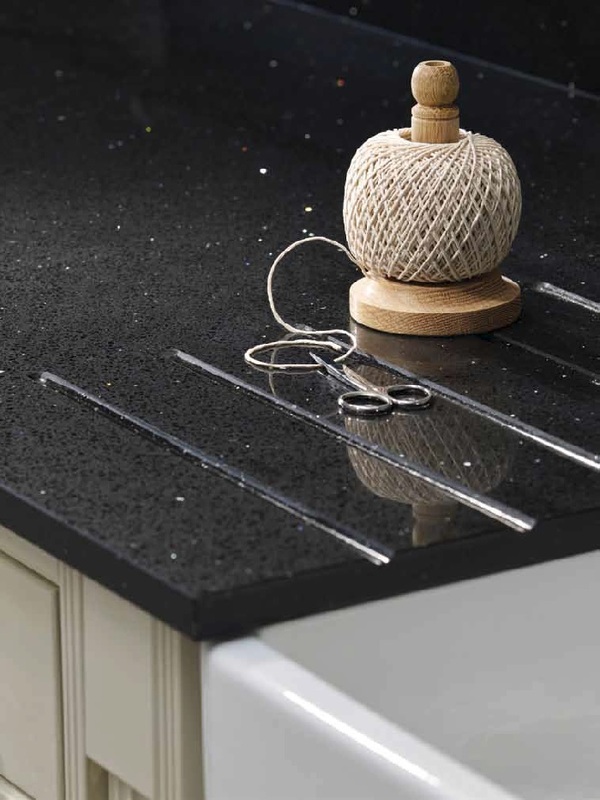 All Prima worktops have a 38mm or 22mm rounded profile edge. Axiom laminate worktops are also manufactured by Formica so they carry the same Lifetime Guarentee on all their worksurfaces. There are 12 textures to choose from and over 50 designs. Axiom worksurfaces come in 3m and 3.6m lengths with a 40mm rounded edge profile. 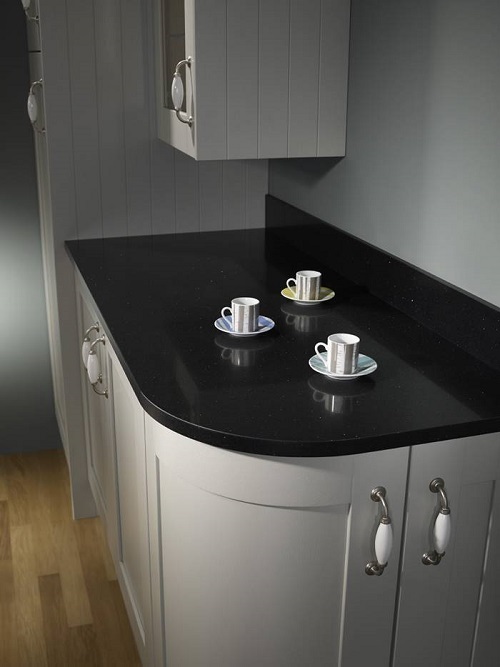 Duropal worktops are the perfect alternative to acrylic based, granite and stone worktops at a fraction of the price. The extensive collection includes over 50 designs and 11 surface textures so you can be sure to find the perfect countertop for your kitchen. Omega worktops by bushboard offer a wealth of designs choice. All their worksurfaces and upstands feature a unique Q3 profile, resulting in a crispier, squarer edge. Omega also offers some of their wood effect and quartz effect designs in a true square edge profile. Infinity worktops by Formica are a luxurious absolute matte surface solution, packed full of properties specifically designed for the kitchen environment. These properties include soft to the touch, anti-finer print, anti-microbial, anti-marking and water repellent. 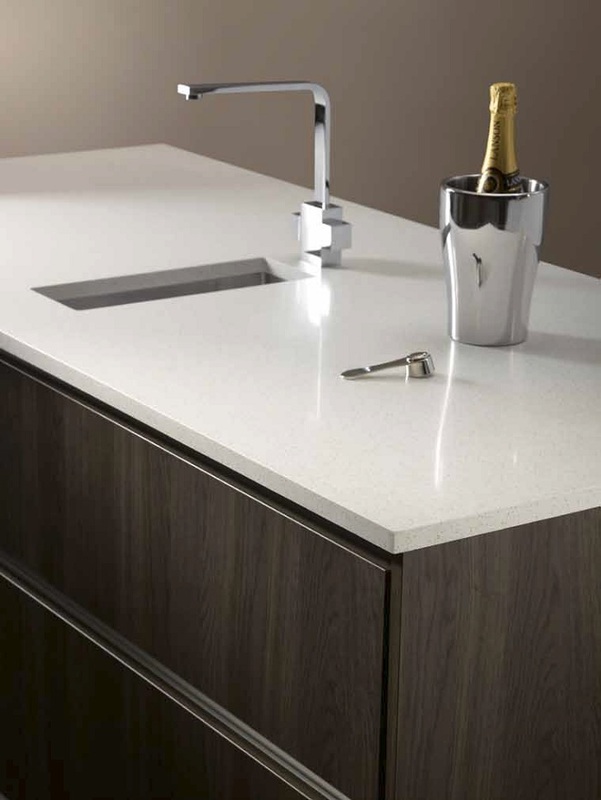 All the infinity designs come with a choice of two profiles, the Formica Infiniti Contour, formed around the angular edge to provide a seamless finish and the Formica Infiniti Edge, a square edge profile using matching dging to create clean, sharp lines. It is important to know what size laminate worktops you need. We supply a range of 3 metre and 4 metre worktops, breakfast bars and upstands. Not only this but the thickness of your worktop will also be an important factor. In the kitchen world today slimline worktops are on-trend and we stock a range of 20mm, 22mm and 28mm thick surfaces. We also stock the most common thicknesses such as 38mm and 40mm.